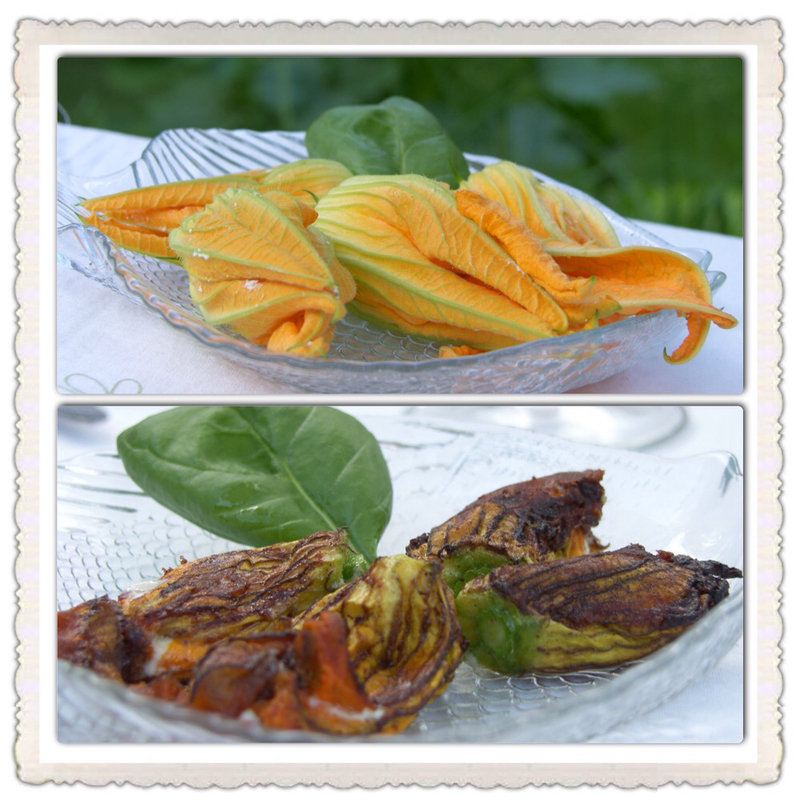 I believe that the flowers, filled with feta or mozzarella and (deep)fried are almost the best part of the zucchinis. Thursday evening when we had the first four zucchini flowers - courgettes - big enought to eat, we filled them with feta cheese and fried them. So good! But mind you, only take the male flowers and/or flowers from ripe zucchinis.